Morgan Forsey is a partner in the Labor and Employment Practice Group and is co-Office Managing Partner of the San Francisco office. 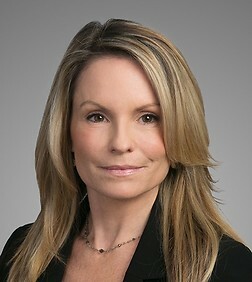 Morgan handles all facets of the litigation and trial process in labor and employment disputes. Morgan has significant experience in defending wage and hour class actions, including claims for overtime pay, meal and rest period violations, misclassification, prevailing wages and claims concerning premium pay issues. She has successfully defeated class certification motions and prevailed on motions to affirmatively deny class certification. Morgan has successfully defended labor and employment disputes under both state and federal law, including harassment, misclassification, discrimination, whistleblowing and retaliation. In particular, Morgan has extensive experience representing and advising clients in the technology, healthcare, transportation, retail, staffing and hospitality industries. She has substantial experience defending against claims arising under the California Fair Employment and Housing Act, Title VII, Sarbanes-Oxley, Dodd-Frank, the Age Discrimination in Employment Act, the Americans with Disabilities Act, and state, federal and local wage and hour laws. Morgan has trial experience defending wage and hour class actions, PAGA actions and single plaintiff employment cases. In addition to civil litigation matters, Morgan regularly represents employers in matters before governmental agencies, such as, the DLSE, DFEH and EEOC, and assists employers in handling regulatory audits, such as DOL and DLSE investigations. Morgan also provides strategic advice to employers on a full spectrum of employment compliance issues; including local ordinances, wage and hour compliance, employee terminations, responding to employee leave requests, trade secret theft and employee privacy.